Love cats! But my favorite of all the cats are the noise Siamese. They just love to talk and some can be very talkative and some are also very loud. They walked into my life back in 1980 and have been the only kind I have owned since. I had one white 10 year old cat at the time and wanted to find one or two white kittens. Every ad in the paper was met with sorry they are gone. One day we had walked into a pet store, again in hopes that just maybe they had a white kitten. There in the cage was 2 of the cutest little kittens. They looked like little clowns, with their fuzzy short coats and their adorable little points on the feet, tail, ears and on the face. Well, we thought they are close to white. They were only about 6 weeks old and were just brought in that morning. 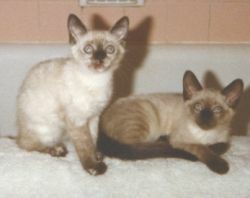 They had a Siamese mother and Siamese Persian mix father. Did not have the heart to buy one without the other. So now we were soon introduced to the world of Siamese. The friendliest of the kittens was Freckles. She had come to the front of the cage and I am sure it was a calculated maneuver to win us over! We actually walked out of the store and went on to do the shopping we had planned on doing in the store next door. Took our purchases back to the car and talked the situation over. White kittens is what we had wanted and free. But since our search had given us zero results, we had to analyze if we wanted to give up this opportunity to have the cutest little kittens around. To put a twist in the situation it was $25 for each kitten. From zero to 25 was definitely a price shock (this was 1980). My husband didn't have the heart to leave the other one there, so now it would be from zero to 50. After thinking about the chance that we might regret not taking, as surely they would go fast, we headed back to the store. So off we go with 2 kittens in hand and on to our lives that would never be the same again. On the way home I was looking at the points of one of them and noticed they were spotted. She was named Freckles, before we even arrived home with our precious cargo. It took us another day before we could come up with an appropriate name for the other kitten. After watching her play hard and then fall asleep sitting up, it seemed like the name Rascal just might fit her personality. We were right on this one, she was always getting into trouble. Rascal was the one that was hanging back in the cage at the pet store. She didn't have a lot to say, but you could tell she was scared. I am sure since they were only 6 weeks old and now they were taken from their mom, it would have to be scary for them. It was a Saturday and maybe they had customers throughout the day, but there was no one there when we entered the store both times. It would have been terrible if they had to have stayed there all weekend by themselves. So heroes to the rescue! But tell me, who couldn't love such cute little faces? I lovingly refer to them as my clown cats. If you have ever lived with a Siamese, I am sure you could attest to their antics. They just never seem to grow up. Everything is a game. They are the alternative to owning a dog. When Siamese kittens are born they are white. 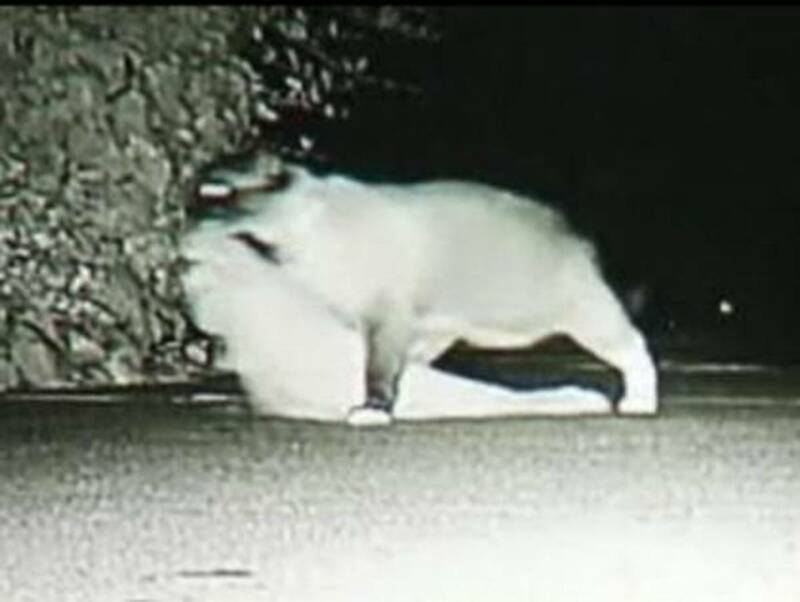 If they are seal or blue point their coat is a slight off white color. The lilac and chocolate points have the lighter color of white when born. Within a few days the outer tips of their ears start to take on color. It is quite fascinating to see their tiny little bodies to start taking on their point colors. They just become so adorable. Most cats once they get past the little kitten stage they don't change much. They take on a look of a miniature adult cat. With the Siamese their coats are always changing. Even when they get older their masks cover more of their face. Their coat color will even get darker with time. Of course to the breeders this is not a plus. Siamese have a very short show cat career due to the fact that their coats change as they get older. If you check out all the pictures of Freckles you can see her metamorphosis from being a kitten into an adult cat. It is hard to imagine how the transformation from white takes place. They are definitely the most fascinating of cats. Having raised a number of Siamese kittens from birth it is always a delight to see how they change. Freckles went on to enter cat shows in the Household Category. She was maybe a bit reluctant to be there but she did love the attention and seemed to be one of the favorite for judges. They were always taken back by her coloring and those big blue eyes. If they petted her she would put on a show and got a great deal of laughs from everybody. She had this thing for finding the people who really didn't care much for cats and would proceed to sit on their laps. I remember this one time, we had a visitor and he had sat down in a chair in our living room. Freckles got on his lap and planted two feet on each of his legs and just stood there. He had this funny look on his face and we told him he could get her off. Well for some reason he was terrified to even remove her. My husband went over and got her off of him. She had never done that to anyone before. She used to like to sit on my sister-in-law's lap and she wasn't very fond of cats. Maybe it was her quest in life to make people like cats! Rascal was always the character and the name suited her very well. If one of the cats was going to be in trouble it would be her. There was the night she decided to leave home and escaped out the front door as we were coming in. Don't know how she managed it, but then again it was late and maybe we weren't paying enough attention. We went right to bed and did not take cat inventory. The next morning I had got up and before doing anything I sat on a chair that was close to the front door. Soon I heard this banging on the door and meowing. I thought it sounded a lot like Rascal, but still did not notice she was MIA. 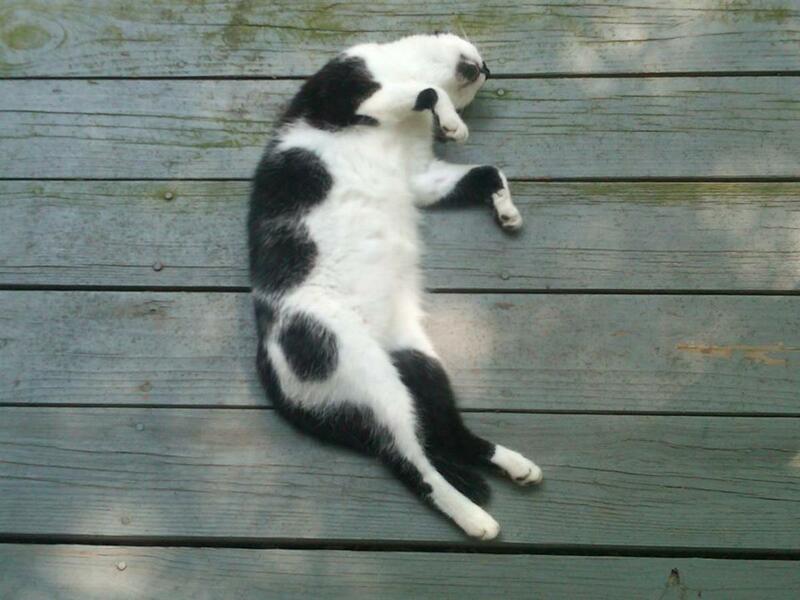 Pretty aggressive cat banging on my door, so I looked out and there was Rascal. I let her in and she made a mad dash to the litter box. Oh yeah, indoor only cats think the only place they can go is in the box! Which is a plus if one escapes, they might just have to come home so they can go to the bathroom. Then there was the time I had baked some loaves of french bread for my husband to take to work for a potluck the next day. As they were cooling on the counter she managed to get up there and take a few nibbles into the crust before I finally caught her. We cut that section out and the loaves still went to work with him. My daughter had made a cake for her friend's mom and the cakes were cooling in the pans. I heard a yell from the kitchen "Rascal" and again she was in trouble. I came to see what she had done. I had to laugh, she had nibbled all around the top of both cakes. Needless to say my daughter was very upset and now was trying to figure out what to do. My response was "don't worry about it, once you ice the cakes no one will even know as long as you don't tell them." She was not at all happy with Rascal but she went ahead and proceeded with the plan. Another one on Rascal's cute moments. 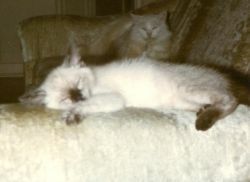 It was fun to go and dig up all the photos of our Siamese. These are only our first two we had. Rascal lived to be 15 years and Freckles lived to be 18 years. I have since had others and still have 2 in my household now. One is 16 years and the other is 8 years. Some of their stories have been sad and definitely pulled on the heart strings. But still I can never imagine life without them. Amazon, shopping mart for your cats - Luxuries every cat in the know wants! @tonyleather: With the cat you have to earn their trust and a lot of people don't like them because it is on the animal's terms, not theirs. I adore cats, especially the Siamese. If you get their trust, they need you and want to be where you are at. They are very social and don't do well as an only cat. We found that out after one died, the other cried and cried and started losing weight. By week five, we knew we had to do something or she would also die....so we got another Siamese. She hissed at the intruder for a week, but at least she was no longer wrapped up in her loss. Love the Siamese, they love to talk and I can carry on a long conversation with them. Thank you for dropping by and leaving a comment. I don't have one now, but I adore the grace and god-like indifference of the felines! Siamese are such awesome creatures! @Meganhere: Well they are the boss you know! They give us so much good feelings it is hard to say no to them, to whatever they want. 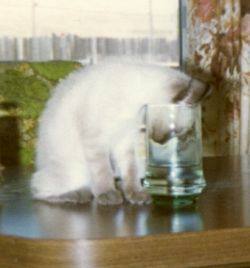 My Siamese, Ming, is currently informing me that he wants me to turn on the tap so he can have a drink of fresh water. I obey, lord and master. @othellos: Thank you. Love those little clowns! They are sure cute when their points start to come in. Every week you can notice a difference in the way they look. @TanoCalvenoa: Ah, they definitely have their own opinions of how things should be run in their world. Having a blind cat for the past 2 years has been challenging and she has become quite bossy and enjoys being very verbally loud at times. Like the person who is hard of hearing...hey we can hear you don't have to shout. The other one is such a love and although bugs the older one at times,she is also very concerned when she is in distress. I've had many cats, currently have two. Each is completely different from the other, different personalities, likes and dislikes - they have their own opinions. I have never had Siamese (currently have three "mutts") but my neighbor when I lived in Texas had three of them and they were rather wonderful (and vocal!) kitties. @VladimirCat: Okay, I can't argue with a black cat. But I do love my clown cats. @LoriBeninger: Yeah they are so cute as their points constantly change. Because of the color change the purebreds don't have a very long cat show career. Some actually do like the shows! I had one that was waiting on the cat carrier when it was set in the living room. She loved the kids and all the attention at the shows. Did not know the Dalmatians were the same. So you never know quite you are getting for awhile. Wow! I had no idea Siamese cats are born white -- so are Dalmatian dogs (like my Zack -- in the picture -- and my late great Colby). Your two lovelies certainly did morph into beauties! @Torrs13: Siamese are like having kittens all the time. Someone I know loved cats so much but was allergic to them. Doctor told her not to have them, but she decided to take shots instead. I would probably do the same as she did because I can't imagine life without them. But I totally understand not having them if you are allergic, it would definitely take the fun out of having them if you had to suffer for it. @sponias lm: They are so adorable and can't help but make you smile with their little clown faces on. Super smart and talkative. I love Siamese cats. They seem to be special. @fifinn: Love cats and the Siamese are very interactive with what is going on. When they die it always pulls at the heart strings, but I can't imagine life without them in it. 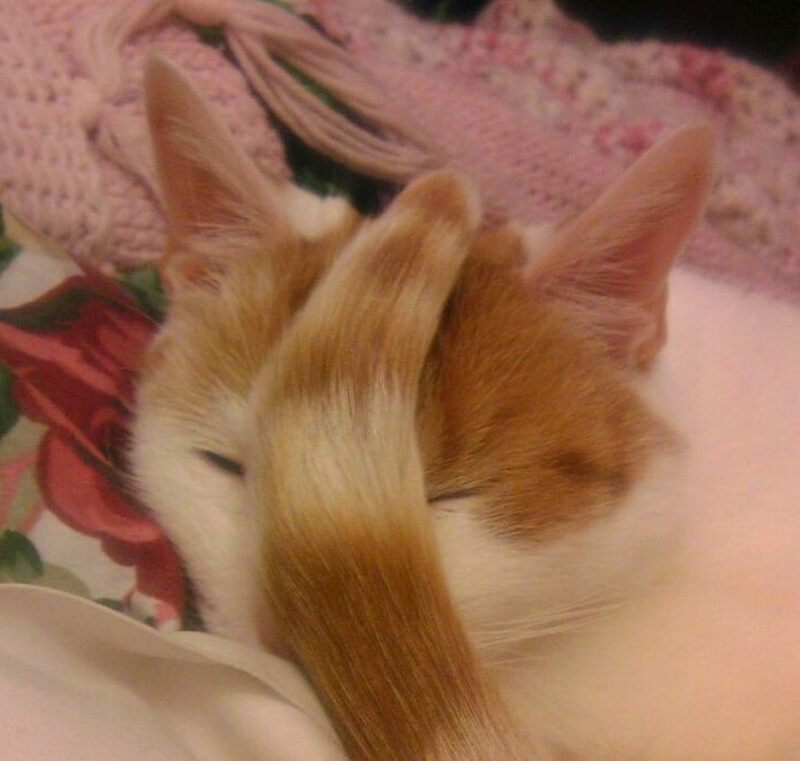 The cat is always amusing. I love it. I once had a very beautiful cat, until finally I keep him. But eventually he died. @anonymous: Thank you for dropping by and leaving a comment. Love the little clown faces, they have lots of energy and very talkative. Also, pretty maintenance free. They liked to be brushed but they don't need to be. I have never had a Siamese. These kitties are Soo cute. Love the photo of the face in the glass. @lionmom100: I was hooked on them when we got Freckles and Rascal (the one in the glass). I refer to them as my little clown cats. The last one I got who is now 8 years, she has an extreme comical side. Siamese never seem to grow up either. @Scarlettohairy: Having had talking cats for so long, it is hard to get used to a cat that won't reply. 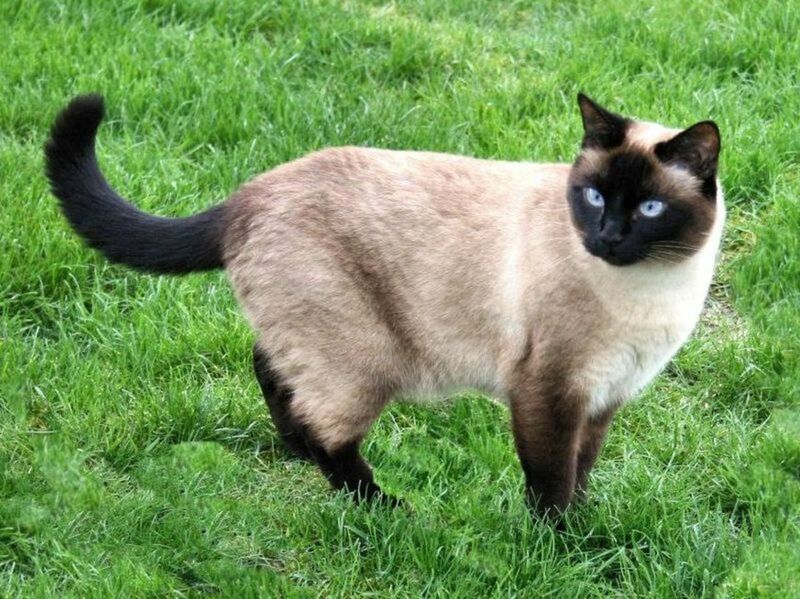 So as long as I can have Siamese they will be my cat of choice. The little one I have now will answer every time I ask her a question, it is quite comical. The conversation can go on for five minutes or until one of us runs out of things to say! 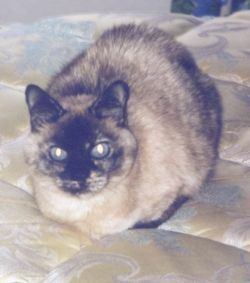 I had a tabby/Siamese cat and she was a great talker. I loved her so much! We have a couple cats that could aptly be named Rascal; oh, well, we kept the names they had when we adopted them: Odan and Sylvester. Love these kitties! @SteveKaye: Well, thank Olivia for me. These cats are adorable. Olivia sends you a friendly Meow for making this lens. Meow. @anonymous: They were so adorable when we picked them up from the pet store. They got me hooked on Siamese. If you like cats to talk to you and answer you, then Siamese are a good match. They can get very verbal at times. @applejacking: Thanks for your comment. Pets are what keeps us happy, when all else seems sad. They make you laugh and a reason to get up in the morning for. Besides...feed me! I love reading your own pet story and maybe I will write about my dogs too. So, everyone will loves, loves and loves their own pets. How crazy this world without any pets at home. @Sylvestermouse: Thank you for your comment. Actually Rascal was the perfect name. She was kind of a crazy mother, she would jump at the kittens scaring them and she would try to get them to chase her. Probably shouldn't have let her be a mother, but Freckles kept both of their kittens in line, so the kittens grew up to be fine pets. She was one silly cat. @takkhisa: Glad you dropped by. Siamese are pretty cute for sure. Cute cats indeed! Thanks for making lens on Siamese cat. @loveanime22: Thank you for dropping by. I agree, Siamese are so adorable. Can't help but smile as they got this cute little mask. Doesn't matter how old they get they are always cute. @Magda2012: Thank you so much. The Siamese are so adorable when their points start to come out. @JaShinYa LM: Thanks for dropping by. Siamese are pretty neat cats. I have seen a few that were cross eyed, but have never owned one. Maggie, one of the cats I have now is blind. She has been that way since Spring of 2011, but she is getting along just fine. I really like Siamese cats. I had one that was mostly white. We rescued him from a sewer and he had bright blue cross eyes! 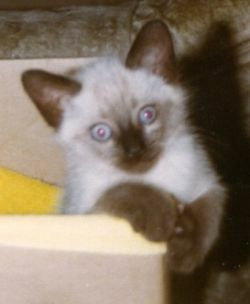 @tonybonura: Thank you for checking out my Siamese. They are definitely not like the average cat. 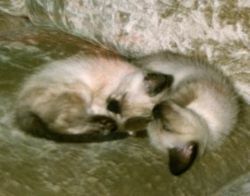 My sister used to have a couple of Siamese cats. My mom has a cat that looks Siamese but I'm not too sure about his heritage. @theallin1writer: Thank you for dropping by. Cats really make life so much better. They seem to help to make troubles go away. @getmoreinfo: Thank you for dropping by. Yes, Siamese cats are pretty cool cats. @RosaMorelli: Thank you for dropping by. Siamese are so unique (like to refer to them as my clown cats) not only in looks but also in personality. They are so interactive, talkative and have lots of energy...well at least for a cat. Breeder friends told me that an Abyssinian has even more energy. I love Siamese cats. I used to have cats but they were just ordinary moggies - still lovely, but maybe not so elegant as Siamese! @nifwlseirff: Thank you for dropping by. Both Rascal and Freckles were littermates. Their mother was Siamese and their father was a Siamese-Persian mix. 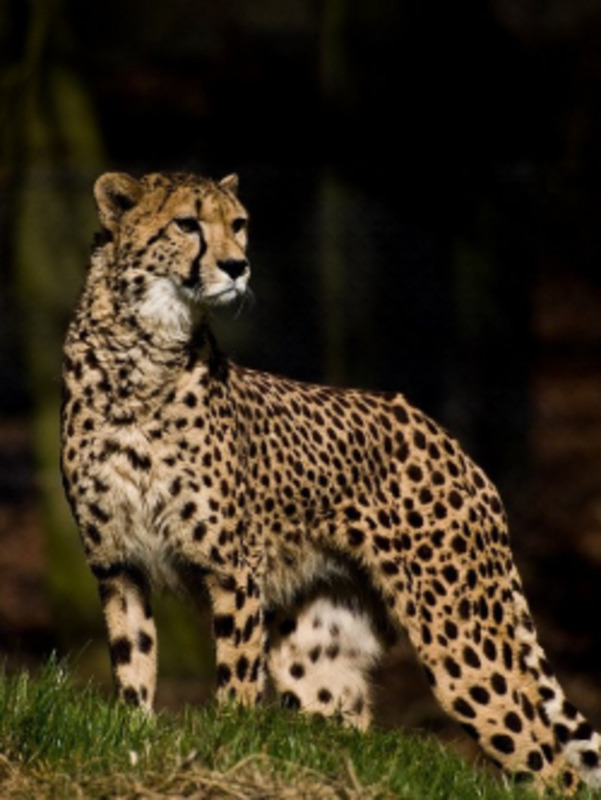 Not sure how much Persian he had, but that is why Freckles had the longer fluffier coat and her unusual markings, although she was a pointed cat. Rascal's adult colouring is stunning! And I didn't realise that adult siamese can be so fluffy! Adorable! @AnimalHouse: I agree, Siamese are so unique. 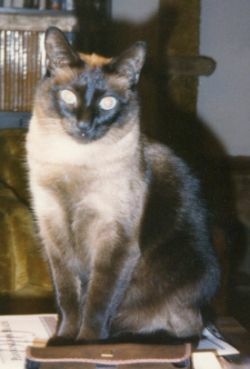 Had an alley cat before the Siamese, and he was pretty cool, but not talkative and interactive as much as the Siamese. Thanks for dropping by. @rob-hemphill: Cats are so great to have around. You have to earn their love and I think that is what makes cat lovers different than people that don't like cats. Glad you dropped by. I had an adorable Burmese cat until a few years ago, she was so beautiful. Siamese cats are so incredible! Thank you for sharing this lens. @anonymous: Hi and thank you for coming by and checking out my lens. I have always loved cats, can't imagine life without cats. @anonymous: Thank you for dropping by and leaving a comment. Those kittens were so adorable when we found them at the pet store. 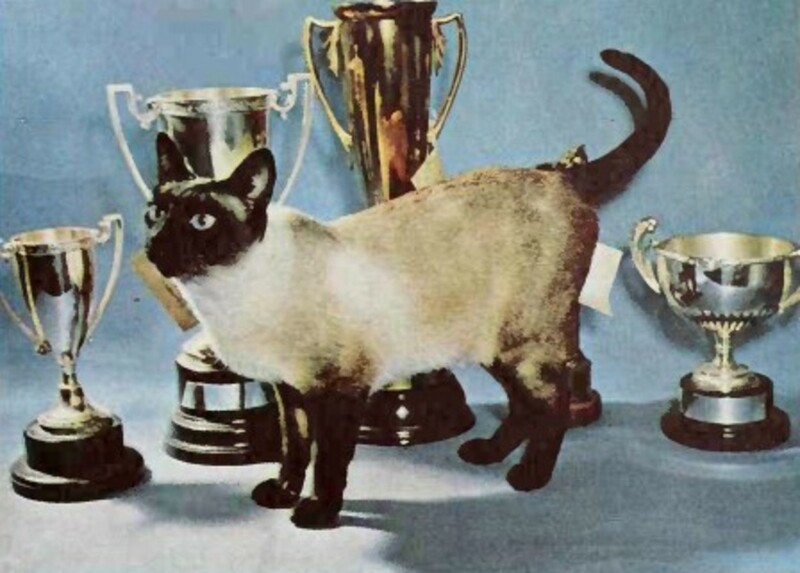 They got me hooked on Siamese cats. Really love cats but still would rather have Siamese owning me. I refrain from saying anything but they owning me, as they pretty much run the show around here. These Siamese cats are special and very adorable. @SusanDeppner: They sure do love to talk. Some I have found are really good about caring on a conversation. I have one now that at times will answer me when I ask her questions and will continue back and forth for about 5 minutes. My little Oreo is part Siamese and it shows in her very loud VOICE! :) Gotta love 'em! @naturegirl7s: Thank you so much for dropping by and checking out my Siamese Lens. Thank you for the blessing. I absolutely adore Siamese. I am so used to having my Siamese answer me when I talk to them, I am inclined to forget most other cats will not answer back. So it usually becomes a one-way conversation, which makes me look a little silly.